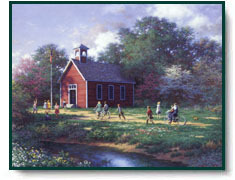 The Little Red Schoolhouse by Larry Dyke depicts an old red schoolhouse. Some of us may remember, others can only imagine peanut butter and jelly sandwiches and Mom's apple pie packed in a big silver lunchbox. How about riding a shiny new bicycle along country lanes, playing kick-the-can and hopscotch with friends, the sound of the school bell ringing each morning, and pledging allegiance to the flag on a sunny day? Remember or imagine The Little Red Schoolhouse. Galatians 3:24 is the Bible verse Larry has attributed to his art print. 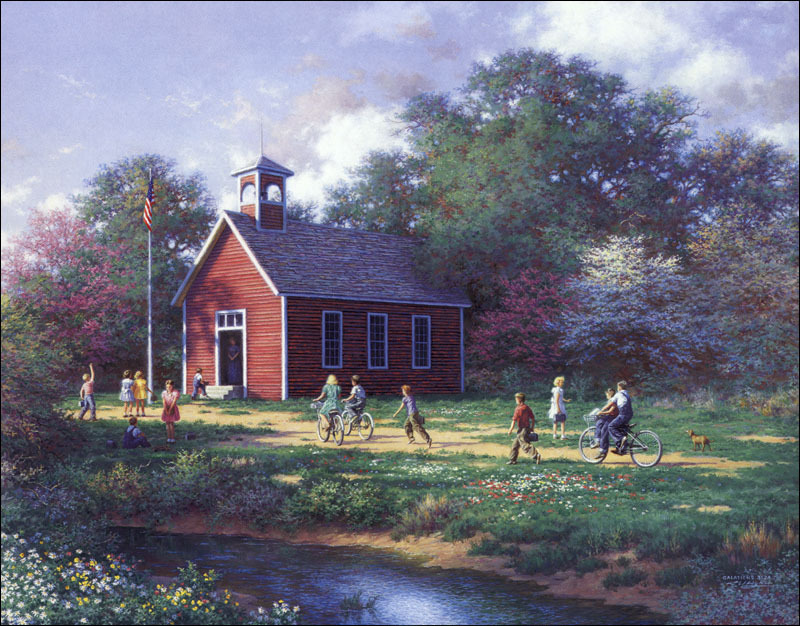 The Little Red Schoolhouse copyright © 1998 by Larry Dyke and is prohibited from being copied without permission. All applicable copyright © laws apply and are reserved by Christ-Centered Mall, Inc.